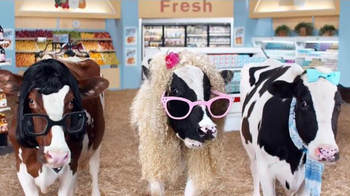 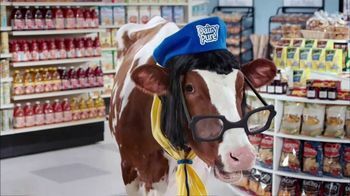 In the dairy aisle, a cow comes out of nowhere to knock sour cream out of the hand of a shopper. 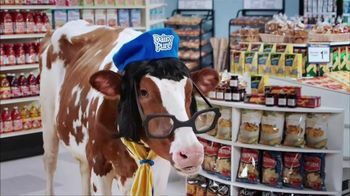 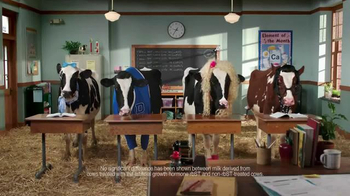 The cow, after asking the woman if she knows where the cream comes from in that sour cream, tells her that DairyPure now offers sour cream. 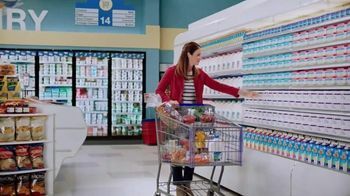 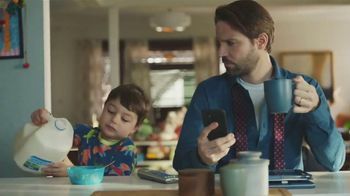 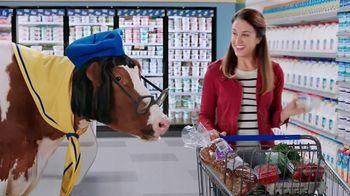 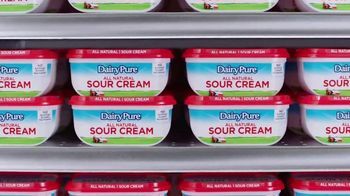 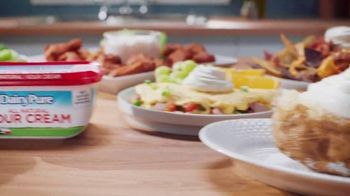 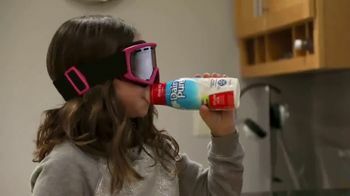 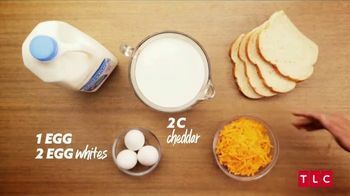 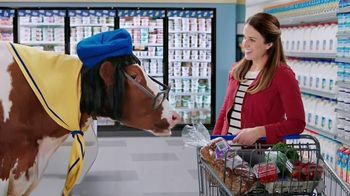 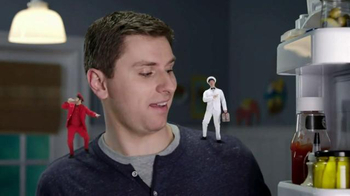 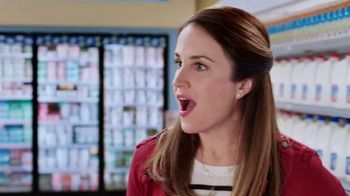 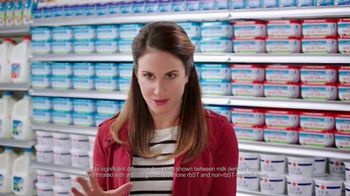 The company uses the same 5-Point Purity Promise it uses for its milk products, which the shopper recognizes as a promise to use no artificial growth hormones, and the cow promises the woman that DairyPure Sour Cream is delicious.